Thanks everyone and thats awesome goran, I hope it does! Welcome to the forums! I'm a big fan of Frasier, and only recently working on Cheers! Someday I'll Netflix binge watch it all! I've seen the first couple of episodes, and then probably six or eight episodes here and there on TV (they play a couple of episodes after 2-3 hours of Frasier on Hallmark in the early morning!). 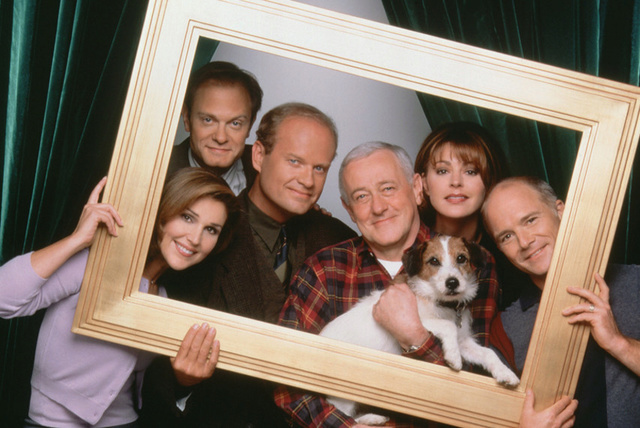 It definitely has a different feel than Frasier, but I think I just need to get into the rhythm! And then he gets back to Seattle, and Niles undoes a lot of it! Hahaha exactly! In the words of Marty: "I still think a couple years in the service would've done you boys a world of good..."